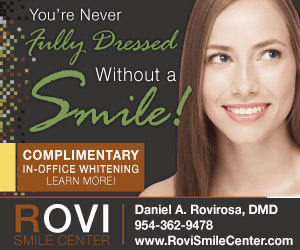 Dr. Daniel Rovirosa and the team at Rovi Smile Center in Coral Springs, Florida strive to provide every patient with a positive experience. This is a gentle dentistry practice specializing in a variety of preventative, restorative and cosmetic dentistry procedures. We serve Coral Springs, Boca Raton, Parkland and surrounding areas. Patients of all ages seek our help to maintain oral health and a beautiful smile as well as to restore or improve their smile. 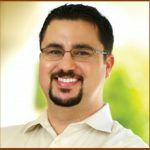 Dr. Rovirosa’s dental practice focuses on beautiful and healthy smiles through the latest in dental technology for non-invasive and gentle dentistry that means patient comfort. We offer a variety of dental financing options as well as work with most major insurance companies. If you have questions about the financial end of things in working with us, please don’t hesitate to ask. The Rovi Smile Center in Coral Springs, FL offers state-of-the-art equipment and we leverage a variety of dental technology tools that allow for less radiation exposure through digital x-rays, the latest in tools and techniques for minimally invasive dentistry, and top notch tools to help detect problems early and help you make informed decisions about your oral health. Whether you need help with an emergency dental appointment, are looking for help with a cosmetic or restorative dentistry area, or are examining options for a new Coral Springs, FL dentist we would be pleased to meet with you. Book a consultation with us in our Coral Springs, FL dental office via our online form to schedule a dental appointment or call our office at (954) 755-8003. Ask About Our New Patient $68 Exam, X-rays, and General Professional Cleaning Special!